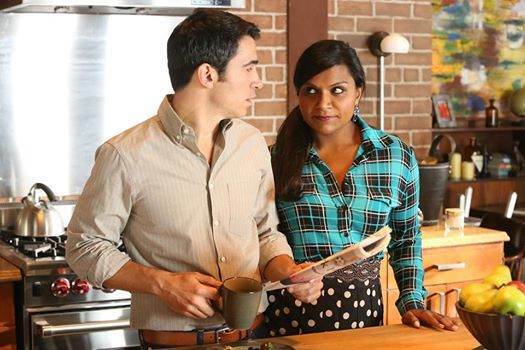 The Mindy Project always delivers when it comes to costume design as there is a strong sense of who Mindy is when it comes to her clothing choices. Mindy very much dresses for herself and this is part of her charm as she’s not going to shy away from something because it is too bold or sparkly. The confidence Mindy exudes in her attitude towards fashion is infectious and this is a character who embraces pattern clashing with open arms. Mindy Lahiri is not Mindy Kaling, however they do share similar style pointers and when discussing clothes in Vogue, Kaling explains “It’s really tempting to not take chances. But I don’t want to be fearful” and I think this is a sentiment her character shares. In “Crimes & Misdemeanors & Ex-Boyfriends” Mindy wore an array of patterns including floral, houndstooth and diamonds, but it was the combination of plaid and polka dots that really caught my eye. Plaid and polka dots rolls nicely off the tongue, however it is a pattern combination that doesn’t necessarily suggest compatibility. Mindy shows they can be worn together and the impact is heightened even further as a result of her plaid color choice. The shirt is by Michael Kors and I think they made the right decision to tuck it in and thereby lose the tie-front detail. Fall is the ideal time for plaid shirts and thanks to Scandal I’ve been practically drooling over the many shirts Rails has on offer. Gap is also a pretty good alternative for something more affordable. Skirt wise Mindy is wearing Ann Taylor and when it comes to plaid and polka dots there is an endless amount of size and color combinations; if you want to ease yourself into pattern clashing of this kind then it doesn’t have to be as bold as Mindy’s ensemble. 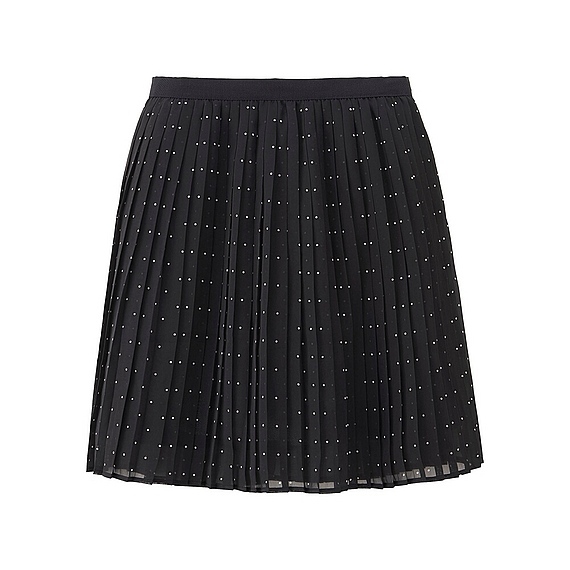 We’ve picked out a few different black and white polka dot skirts ranging in polka dot size, style and price. First up miniature polka dots from Uniqlo and a skirt I actually own (I’m going through a pleated phase at the moment) and this is a good way to start print clashing as the pattern is so small. Now for something more dramatic in both hemline and polka dot size from Alice + Olivia; even the model is embracing the pattern clashing with checks. Monochromatic top and bottom produces an arresting and somewhat hypnotic image. Another thing about polka dots other than size/color is the arrangement as they can be in precise rows like the Alice + Olivia skirt or as with this Giambattista Valli the design is more chaotic. The box pleat detail gives a slightly flared appearance and it’s a fun take on this style. For more pattern clashing on The Mindy Project including Fantasy Costuming and one of my favorite Mindy outfits head here and here.